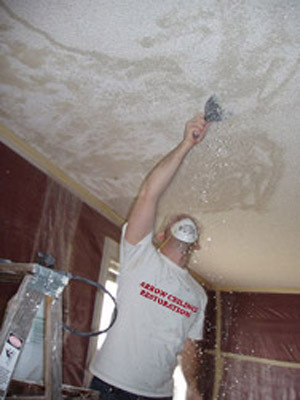 Parrish Ceiling Contractor are experts at removing popcorn ceilings in your Parrish Florida home. Thanks for 24 great years in the Parrish and Surrounding Areas! Popcorn ceilings become unattractive when they get dirty, are easily damaged, and are hard to clean, repaint, or repair. Let Parrish Ceiling Contractor take on your Popcorn Ceiling Removal project today. With the old popcorn ceilings removed you will see a noticeable improvement! (941) 870-8078 or complete our estimate request form.